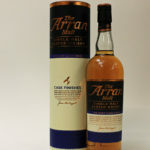 This Arran is finished in a Sauternes Wine Cask , non chillfiltered and bottled at 50%. This Arran is finished in a Sauternes Wine Cask , non chillfiltered and bottled at 50%. After initially maturing in traditional oak casks over a number of years The Arran Single Malt in this bottling was finished in a selection of Sauternes wine casks sourced from an artisan producer of this iconic Bordeaux sweet white wine. Distillery: Honeysuckle, melon and marzipan with a spicy edge to add balance. Add water and a lush fruit attack appears with banana, forest flowers and a rich nutty character. Distillery: Richly honeyed and backed with a lifting zestiness which slides into spice and zingy salt. Once the dram opens out, vanilla and sultana stand out followed by notes of toasted oak. Distillery: A glorious combination of voluptuous Sauternes and snake-hippe Arran Malt - a richly rewarding partnership. 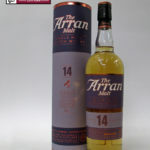 The Arran 14 years old is a smooth and richly rewarding expression of the Arran malt bursting with character and complexity. 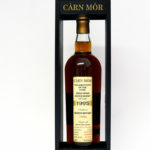 The extra years of maturation have added a depth of sweetness and spice to create a fully rounded and satisfying dram. This Arran Single Malt in this bottling was matured in traditional oak casks then finished in a selection of Port wine casks sourced from a prestigious producer of this iconic Portuguese fortified wine. 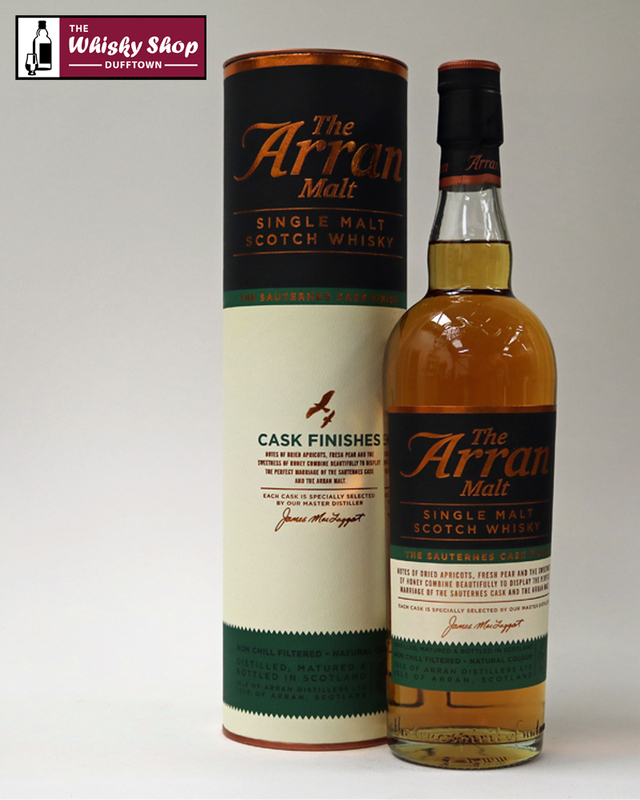 The Arran Malt Finished in a Port Cask is non chillfiltered and bottled at 50%.